Pursuant to Arizona Revised Statutes Annotated Section 11-445 (I), a private process server properly registered under Arizona Law may serve all process, court papers and court orders required to be served to the same extent as any sheriff or constable. However, unlike a law enforcement officer, a private process server may not serve any process that requires the server to take a person, or a person’s property, into his custody. 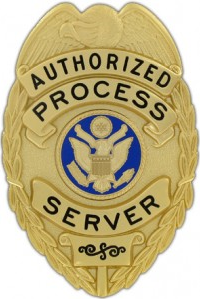 As a process server you may charge whatever fees are agreed upon between you and your client. However, if a court awards costs to your client, including service fees, you may only collect the sum actually charged, or the sum to which a sheriff or constable would have been authorized to charge, by statute, for the same services, whichever is the lesser sum.